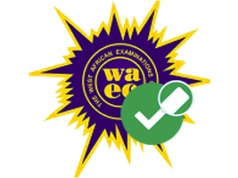 The WAEC GCE Timetable November/December Examination 2019 is out and the team beradiva.com has brought her information to you today. 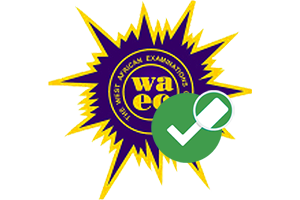 We would love to present to all candidates, who wish to participate in the 2019/2020 West African Senior Secondary Certificate Examination (WASSCE) NOV/DEC, that the West Africa Examination Council (WAEC) has officially released the examination Final International Timetable. This is to say, that the timetable provided below is for candidates from the above four (4) listed participating West African countries. You can now download the 2019 WAEC Nov/Dec GCE Timetable for Ghana, Nigeria, Zambia, Sierra Leone and Gambia Candidates in pdf format. Wednesday 26th to Friday 28th August, 2015. French 3 (Oral) – Time for paper will be arranged by the Council. Health Science 3 (Alternative to Practical Work) – 8.30 – 10.15am. Health Education 3 (Alternative to Practical Work) – 8.30 – 10.15am. Health Science 2 (Essay) – 1.30pm – 3.00pm. Health Science 1 (Objective) – 3.00pm – 4.00pm. Health Education 2 (Essay) – 1.30pm – 3.00pm. Health Education 1 (Objective) – 3.00pm – 4.00pm. Friday, 4 th September, 2015 to 25th September, 2015. Arabic 3 (Oral) – Time for paper will be arranged by the Council. Home Management 2 (Essay) – 1.00pm – 2.o0pm. Home Management 1 (Objective) – 2.00pm – 3.o0pm. Financial Accounting 2 (Theory and Practice) – 8.30am – 11.o0am. Financial Accounting 1 (Objective) – 11.00am – 12.o0 noon. Hausa 2 (Essay) – 8.30am – 10.30am. Hausa 1 (Objective) – 10.30am – 11.30am. Igbo 2 (Essay) – 8.30am – 10.30am. Igbo 1 (Objective) – 10.30am – 11.30am. Yoruba 2 (Essay) – 8.30am – 10.30am. Yoruba 1 (Objective) – 10.30am – 11.30am. Edo 2 (Essay) – 8.30am – 10.30am. Edo 1 (Objective) – 10.30am – 11.30am. Efik 2 (Essay) – 8.30am – 10.30am. Efik 1 (Objective) – 10.30am – 11.30am. Ibibio 2 (Essay) – 8.30am – 10.30am. Ibibio 1 (Objective) – 10.30am – 11.30am. Physics 3 (Alternative to Practical Work) – 8.30am – 11.15am. Physical Education 3 (Alternative to Practical Work) – 2.00pm – 4.o0pm. History 2 (Essay) – 8.30am – 10.30am. History 1 (Objective) – 10.30am – 11.30am. Biology 2 (Essay) – 8.30am – 10.10am. Biology 1 (Objective) –10.10am – 11.00am. Physical Education 2 (Essay) – 1.00pm – 2.20pm. Physical Education 1 (Objective) – 2.20pm – 3.10pm. General Mathematics/Mathematics (Core) 2 (Essay) – 8.30am – 11.00am. General Mathematics/Mathematics (Core) 1 (Objective) – 1.00pm – 2.00pm. Geography 2(Essay) – 8.30am – 10.30am. Geography 1(Objective) – 10.30am – 11.30am. Biology 3 (Alternative to Practical Work) – 1.00pm – 3.00pm. Physics 2 (Essay) – 8.30am – 10.00am. Physics 1 (Objective) –10.00am – 11.15am. Geography 3 (Practical and Physical Geography) – 1.00pm – 2.15pm. Chemistry 3 (Alternative to Practical Work) – 8.30am – 10.00am. Shorthand – 8.30am – 9.45am. Auto Mechanics 2 (Essay) – 1.00pm – 2.30pm. Auto Mechanics 1 (Objective) – 2.30pm – 3.30pm. Literature-In-English 2(Prose) – 8.30am – 9.45am. Literature-In-English 1 (Objective) – 9.45am – 10.45am. Literature-In-English 3 (Drama & Poetry ) – 1.00pm – 3.30pm. Electronics 3 (Practical) (1st set) – 8.30am – 11.30am. Electronics 3 (Practical) (2nd set) – 12.00noon – 3.00pm. Basic Electronics 3 (Practical) (1st set) – 8.30am – 11.30am. Basic Electronics 3 (Practical) (2nd set) – 12.00noon – 3.00pm. Chemistry 2 (Essay) – 8.30am – 10.00am. Chemistry 1 (Objective) – 10.30am – 11.30am. Government 1 (Objective) – 4.30pm – 5.30pm. Electronics 2 (Essay) – 1.00pm – 2.00pm. Electronics 1 (Objective) – 2.00pm – 3.00pm. Basic Electronics 2 (Essay) – 1.00pm – 2.00pm. Basic Electronics 1 (Objective) – 2.00pm – 3.00pm. English Language 2 (Essay) – 8.30am – 10.30am. English Language 1 (Objective) – 10.30am – 11.30am. English Language 3 (Test of Orals) – 2.30pm – 3.15pm. Agricultural Science 3 (Alternative to Practical Work) – 8.30am – 10.00am. Visual Art 2 (Essay) – 1.00pm – 3.00pm. Visual Art 1 (Objective) – 3.00pm – 3.50pm. Wood work 3 (practical) (1st Set) – 8.30am – 11.30am. Wood work 3 (Practical) (2nd Set) – 12.00noon – 3.00pm. French 2 (Essay) – 1.00pm – 2.15pm. French 1 (Objective) – 2.15pm – 3.15pm. Christian Religious Studies 2 (Essay) – 8.30am – 10.30am. Christian Religious Studies 1 (Objective) – 10.30am – 11.30am. Islamic Studies 2 (Essay) – 8.30am – 10.30am. Islamic Studies 1 (Objective) – 10.30am – 11.20am. Arabic 2 (Essay) – 1.00pm – 3.00pm. Arabic 1 (Objective) – 3.00pm – 3.50pm. Foods and Nutrition 2 (Essay) – 1.00pm – 2.15pm. Foods and Nutrition 1 (Objective) – 2.15pm – 3.15pm. Building Construction 3 (Building Drawing and Essay) – 1.30pm – 4.00pm. Technical Drawing 2 (Essay) – 8.30am – 10.15am. Technical Drawing 1 (Objective) –10.15am – 11.15am. Commerce 2 (Essay) – 1.00pm – 3.00pm. Commerce 1 (Objective) – 3.00pm – 3.50pm. Building Construction 2 (Essay) – 1.00pm – 2.00pm. Building Construction 1 (Objective) – 2.00pm – 2.45pm. Agricultural Science 2 (Essay) – 8.30am – 10.40am. Agricultural Science 1 (Objective) – 10.40am – 11.30am. Typewriting (1st Set) – 8.30am – 11.10am. Typewriting (2nd Set) – 11.30am – 2.10pm. Applied Electricity 2 (Essay) – 1.00pm – 2.00pm. Applied Electricity 1 (Objective) – 2.00pm – 3.00pm. Further Mathematics/Mathematics (Elective) 2 (Essay) – 9.30am – 12.00am. Further Mathematics/Mathematics (Elective) 1 (Objective) – 3.00pm – 4.30pm.